Figure 1. The images in this series are very similar. With Lightroom, I don’t have to develop each image individually, but instead can apply developments to all of them at once, ensuring a cohesive look. What if you had four arms, two brains and two computers? 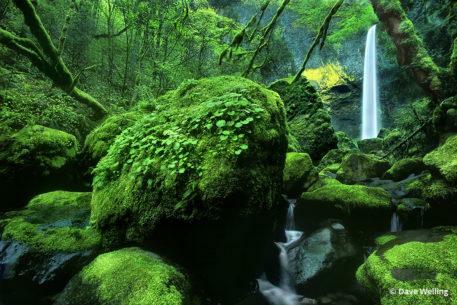 I don’t know about you, but I would develop more than one image at a time to double the speed of my RAW workflow. That would be your answer too, right? Alas, we are all stuck with working on one image at a time due to our limited anatomy. However, that doesn’t mean we are all doomed to envisioning the development of just one image at a time, and I certainly encourage photographers to think beyond the individual frame. There’s real value in considering your body of work as a whole when developing your images. Images can fit together as essays, projects, themes or stories, and a body of work can exhibit a much broader context, and thus contain a more meaningful narrative. Of course, when considering groups of images, there is also value in considering consistency of look, to envision a style not solely based on one frame. Lightroom offers tools to create consistency and establish a baseline look, an overall style with a cohesive mood and atmosphere for groups of images, or even your body of work as a whole. A baseline is simply a starting point. In terms of developing RAW files, the baseline is the initial look we apply to our RAW data before we begin any further adjustments. It is thus not the fruit of our creative work, or cohesiveness in style and mood, but it is the foundation of it. 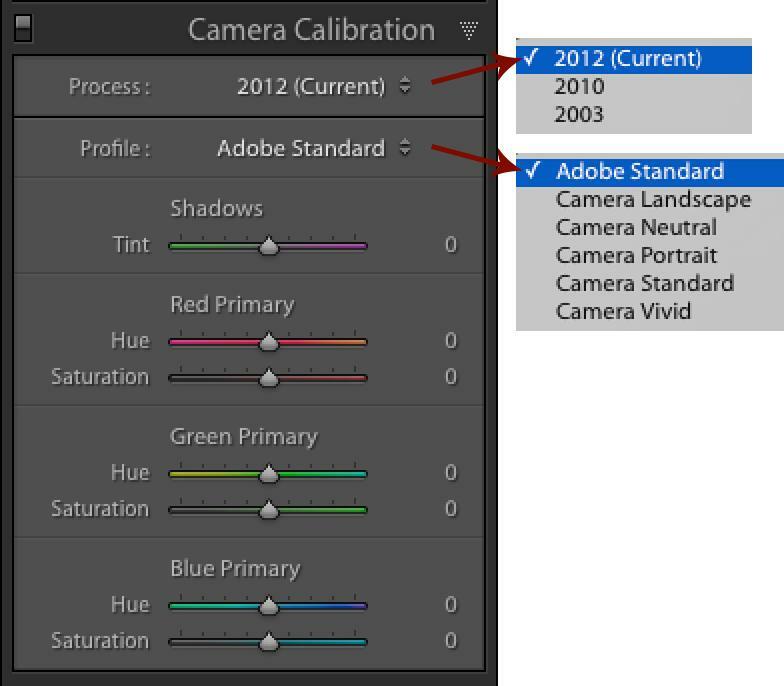 In Part One of this article series, I covered how the Adobe Standard Profile, found in the Camera Calibration Panel, is the default starting point that Adobe gives us. This starting point is relative, not absolute, and your color and tone are thus open to interpretation based on which profile you choose (Figure 2). What I didn’t mention in the first article is that this starting point is completely customizable and can be applied to all your imports coming from a specific camera. Figure 2. 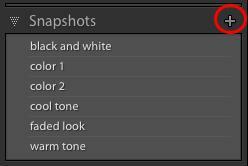 The Camera Calibration Panel in the Develop Module offers different Profile options, each providing a different look. TIP: The Profiles you see in your Develop Module may show a slightly different list of options than what you see in Figure 2. The list generated by Lightroom is based on the type of camera you have. These are not generic profiles—Adobe has reverse-engineered them for your specific camera. It’s actually a very cool feature! Figure 3. 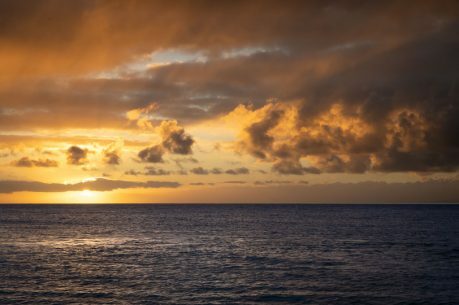 While in the Develop Module, holding down the Alt/Option key changes the state of the Reset button to Set Default, which allows you to customize the baseline adjustments that will be applied when importing images from a particular camera. The mechanics of establishing a baseline are simple, and there are a couple of ways to do it. To walk you through, let’s start by choosing a Profile in the Camera Calibration Panel. Needless to say, if you’re fine with the default Adobe Standard Profile, then no more work is required. But if you aren’t, then go through the Profile options to choose your favorite. Next, hold down the Alt/Option key to watch the state of the Reset button change to Set Default in the lower right corner of the Develop Module (Figure 3). Clicking on the Set Default button will then launch the Set Default Develop Settings dialogue box shown in Figure 4. If you then click on Update to Current Settings, Lightroom will, from then on, convert all files you import to the new chosen Profile. And, yes, you can apply a different baseline to every camera in your camera bag if you choose—the camera is identified by its serial number. Figure 4. 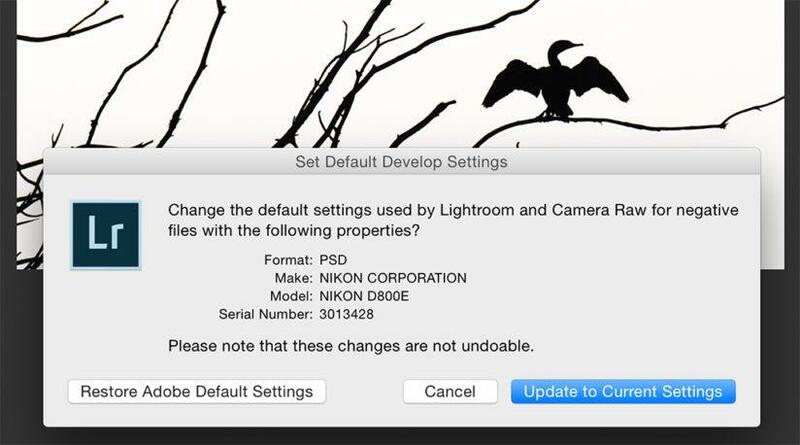 The Set Default Develop Settings dialogue establishes your baseline and applies it to a specific camera, identified by its serial number. Now here’s where this gets cool. 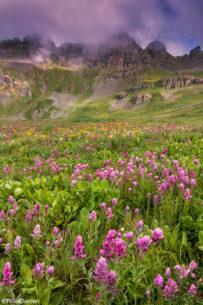 You are not restricted to applying merely a new Camera Profile as a baseline. Like I said, a baseline can be completely customizable. 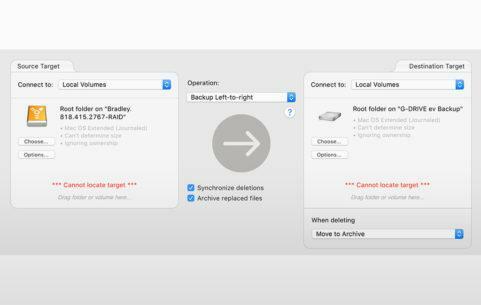 Update to Current Settings works with any settings you can configure in the Develop Module. You can choose to further tweak your profile by playing with the additional sliders in the Camera Calibration Panel. 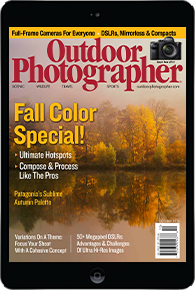 You can play with color in the HSL Panel or Split Toning Panel for finer tuning, create adjustments in the Tone Curve Panel or the Basic Panel, and ultimately customize a look and feel in any way you wish. Bearing this in mind, my suggestion is to not get crazy creative with your developments here, and don’t think of your baseline as the place to stylize your work. Remember, you’re creating a starting point, not a finished or polished look. Figure 5. The Presets Panel comes with a lot of prepackaged Adobe Presets, each offering a different look and developmental possibilities. The Presets Panel comes equipped with seven sets of prepackaged looks supplied to us courtesy of Adobe (Figure 5). At the bottom of the list are the User Presets—we’ll get to those later. To get a feel for how presets work, try selecting an image, and then scroll over a series of presets while keeping an eye on the Navigator Panel just above. There you’ll see a preview of what your image will look like with the given preset. This is an exercise I often repeat as a way to play with developmental ideas. 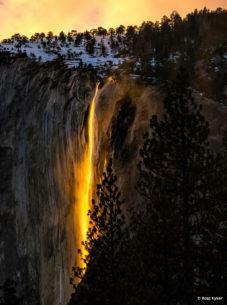 Just scroll away and “ooh and ahh” until you stumble across something that inspires you. You can apply a preset during import or anytime thereafter. To apply during import, make sure your Import dialogue is launched (File > Import Photos & Video). Look for the Apply During Import Panel on the right side of your screen (Figure 6). Click on the Develop Settings drop-down menu, select your preset and the images that you import will have the development applied as they come into your system. 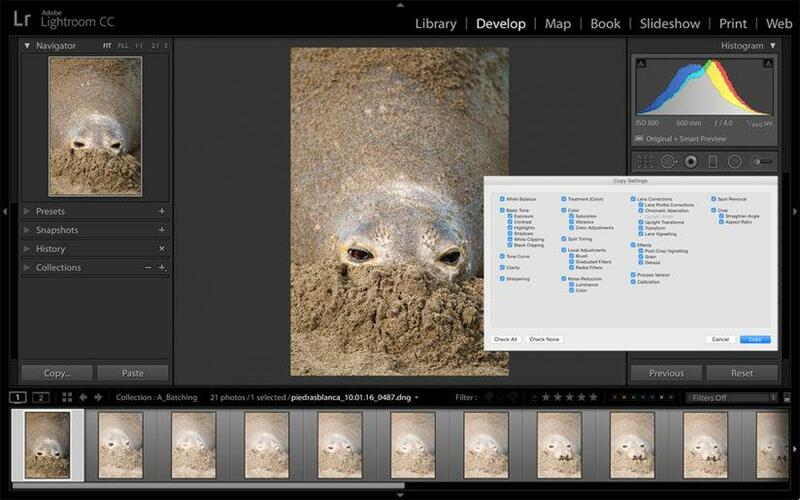 To apply a preset to images already in your catalog, select a group of images while in the Library Module, go the Quick Develop Panel, then to the Saved Presets drop down and select your preset. While the prepackaged Adobe Presets can help spark ideas, creating your own User Presets can help you gain a commanding sense of your own style for your work. Remember when I suggested that you be prudent when building your baseline? When building your own custom presets, prudent goes out the window. Instead, I encourage you to create developments that are more polished and finished. 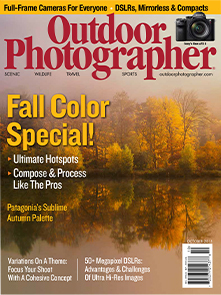 Create some that saturate color or dull it down; that have a lot of contrast, or flatten the tonal range; that lean toward warm tones or cool tones; that darken your images or brighten them. There should be no limits here, and designing User Presets can help take the look of your work to a whole new level. To create a User Preset, refer back to Figure 5 and click on the “+” symbol on the panel header to launch the New Develop Preset dialogue (Figure 7). Using this dialogue is fairly self-explanatory—simply go through the check boxes to decide which adjustments you want to include in your saved preset and which you want to exclude. Next, name your new preset at the top of the dialogue and click the Create button on the bottom. You can then apply your new preset during import or after in the same manner I described previously for Lightroom’s prepackaged presets. Figure 6. You can apply Adobe Presets or User Presets to your images as you import them into Lightroom by way of the Apply During Import Panel in the Import dialogue. Figure 7. 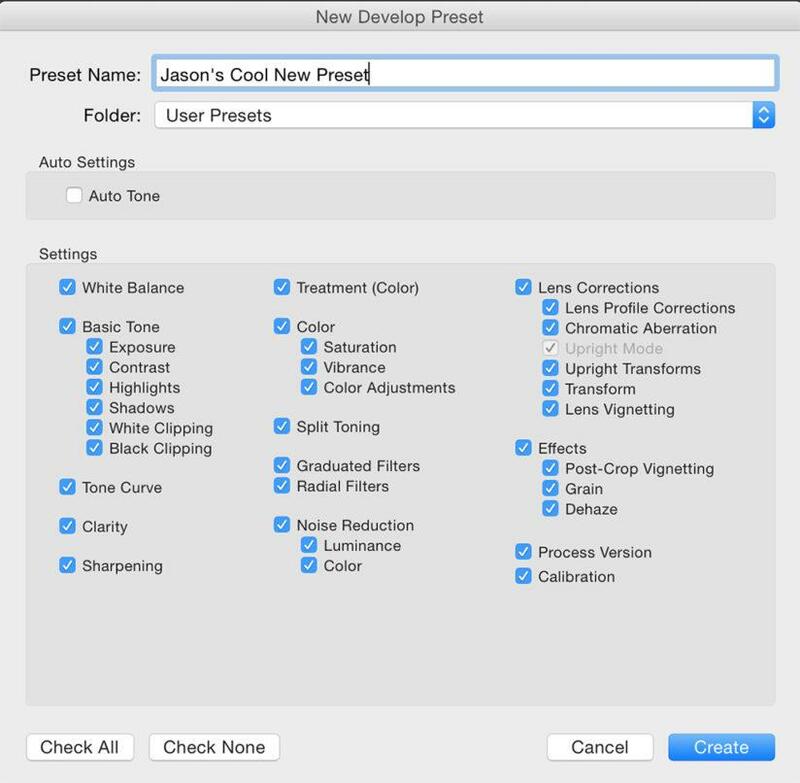 When saving a User Preset, simply check or uncheck with developmental settings you want to include in the New Develop Preset Panel. TIP: You don’t have to create a preset if your goal is to duplicate a developmental state from one image to another or from one image to a group of images. Instead, you can also copy and paste a development. 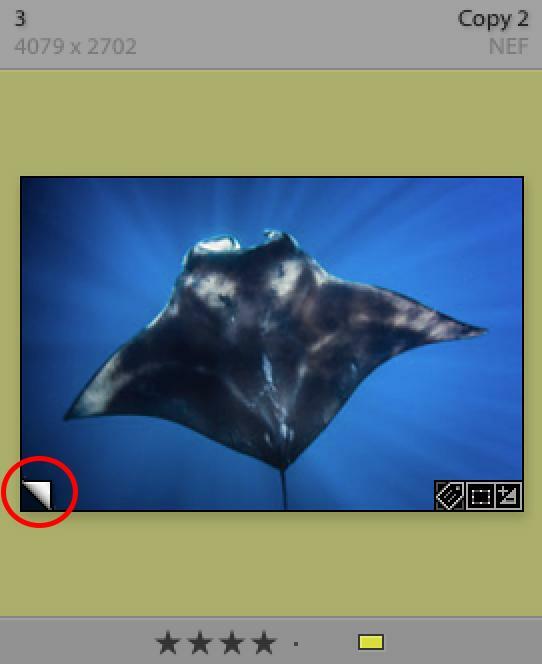 In the Develop Module, look for the Copy button in the lower left hand corner. Clicking Copy launches the Copy Settings dialogue that contains a series of checkboxes akin to what we saw in Figure 7. You can check or uncheck as many adjustments as you like, and click Copy when you’re done. Next, select an image or a set of images that you want to copy your adjustments to, and then hit the Paste button (found just to the right of Copy). In addition to saving and applying developmental configurations as a baseline or style, we can also save the variety of treatments that we apply to our individual files. One of the great benefits to RAW workflow is that we can make as many changes as we like to our images, none of which ever affect the integrity of the original file. This means we can make color versions, black-and-white versions, high-contrast and low-contrast versions, warm- and cool-toned versions—the list goes on limited only by your imagination (Figure 8). You can make as many versions as you like, but if you do this, you’re going to need a way to keep track of all the different ways you develop your individual files. 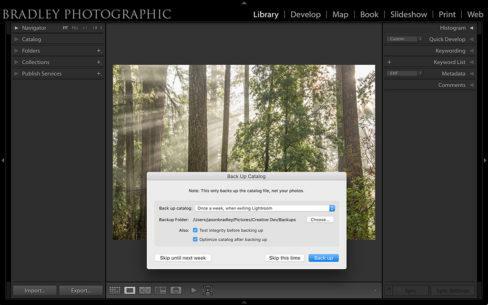 Lightroom offers two paths for saving developed versions: Snapshots and Virtual Copies. Figure 8. One of the grand benefits of RAW file workflow is our ability to create many versions of a file without ever affecting the integrity of the RAW data. Figure 9. One of the grand benefits of RAW file workflow is our ability to create many versions of a file without ever affecting the integrity of the RAW data. Snapshots. A Snapshot is the perfect tool for saving an image’s current state of development. Once a Snapshot is created, you can continue with your current developmental path and update as you go, or create a completely new look and feel for your image before creating a second Snapshot. To create a Snapshot, click on the + symbol on the right side of the panel header as shown in Figure 9. Next, name your Snapshot and click Create, and your Snapshot will be added to the Snapshots Panel in alphabetical order. Snapshots are not permanent and can be updated. If you need to change or correct a setting applied to a Snapshot, adjust as needed, then Control+Click (Mac), or Right Click (Windows) on the name of your Snapshot to trigger the Context Menu. Then click Update with Current Settings. Figure 10. Virtual Copies can be identified by the folded corner on the bottom left of the image thumbnail. Virtual Copies. While a Snapshot provides a way to save a development, a Virtual Copy is a way to simulate the duplication of a file in your catalog without actually creating a duplicate. To say that another way, it’s a duplicate that exists at the catalog level only. You can create a Virtual Copy by going to the Photo > Create Virtual Copy. The copy is then made and set directly next to your original file. You can identify the Virtual Copy by the folded corner, as shown in Figure 10. There are pros and cons to Virtual Copies. The main benefit is that the different versions you create have catalog functionality, meaning you can apply a keyword, flag, color label, or star rating to a Virtual Copy, none of which can you do with a Snapshot. That said, the versions you create with Virtual Copies are only saved to the catalog and not to the file, while Snapshots are saved to both locations. This means that if I share my file with another catalog, synchronize with another catalog or import an image from another catalog, then those Snapshots will be preserved and go along for the ride. 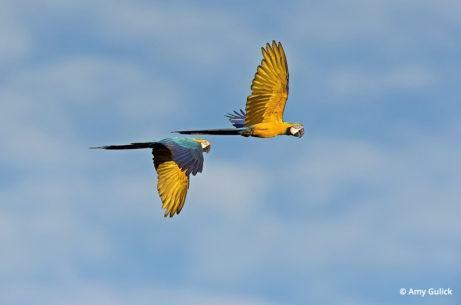 To sum up, I suggest using Snapshots to save different developmental versions, but if you need to see or exhibit different versions side-by-side, like in a slideshow or otherwise, then you can apply your different Snapshots to your Virtual Copies by using the Develop Module’s copy and paste functions. TIP: You can create as many versions as you like, but if you ever want to start over and redevelop your RAW file starting from its imported state, look to the lower right corner of your Develop Module and hit the Reset button. When creatively developing our RAW images, there is much to consider beyond how we work with the single file. We can establish developmental configurations that apply to a camera or to a stylized preset, or create and save developmental versions of our work in as many ways as we wish. You may end up using some of these tools, all of them or none at all, but knowing they are there and how to wield them at least puts you in the frame of mind that you can be creative beyond the single frame. I almost never use User Presets but often play with the prepackaged presets in order to spark new ideas for how to approach developing a file. I copy and paste developments all the time and feverishly make Snapshots so I don’t lose ideas for stylizing an image, but almost never use Virtual Copies. 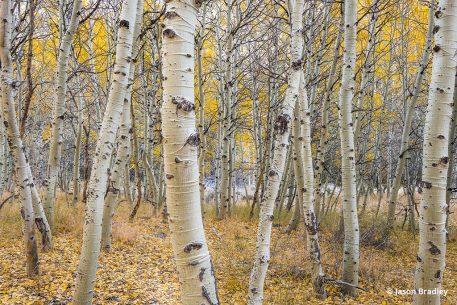 Your RAW workflow needs will define how you use these tools, but know that Lightroom is capable of working with you to create a sense of style as you develop not just a few images, but a clear and cohesive body of work. 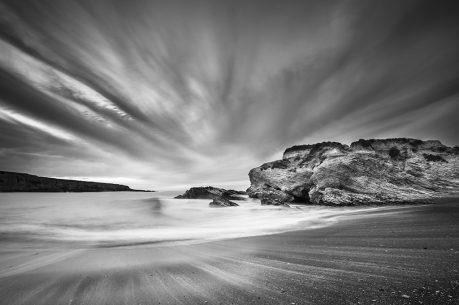 In Part Three of this series, we take a conceptual approach to developing your own unique RAW workflow, and consider the key tools in the Develop Module that can help you to achieve your vision for each image. Thank you so much for these four really instructive articles. This is fantastic info. Thank you!